Hello Podcast World! 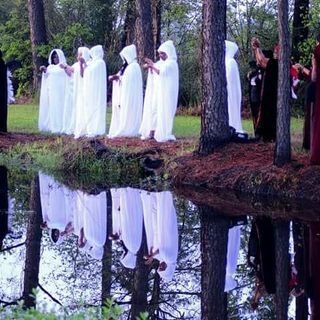 Black Witch University is a Maroon Mystery School and sacred spiritual space for Black Witches of the diaspora. We are expanding and growing like a beautiful garden. This is our introduction. Welcome! This is soooooo freaking Awesome!!!!! BWU is everything our community needs and more! One small step for magic and one huge leap for black witches everywhere! !